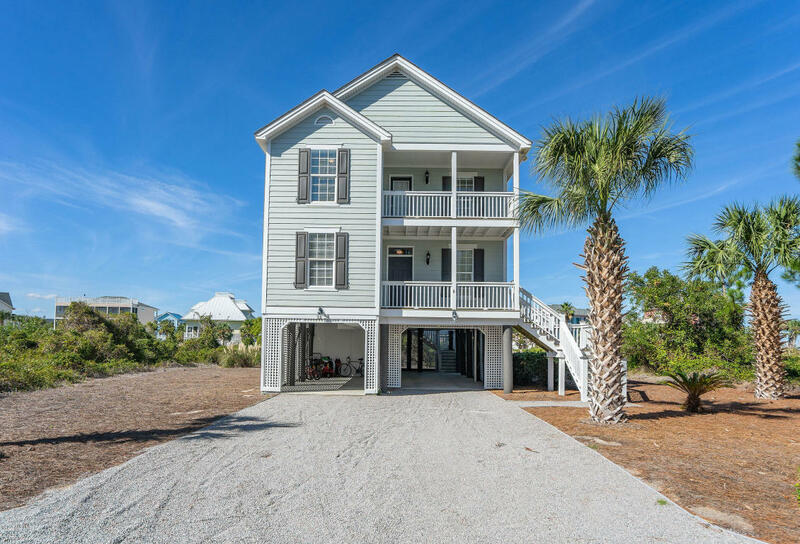 Wonderful 4 bedroom/3 bath home ideally located to offer phenomenal marsh, river, canal and ocean views. The open living area features white-washed select grade oak flooring, a gas fireplace with custom mantle, bead board wainscoting, access to a full porch to expand dining and entertaining to the outside. The fully equipped kitchen showcases quartz counters, custom cabinetry, work island, bar for casual dining and transom windows above cabinets to allow for natural lighting. The spacious dining area is located next to the kitchen for ease in serving while enjoying friends and family. The first floor also features a laundry room and a bedroom with private access to a full bath.